The National Missing Children’s Day Poster Contest is a nationwide contest, hosted by the Office of Juvenile Justice and Delinquency Prevention (OJJDP), designed to promote awareness among teachers, parents/guardians, and children and engage them in discussions about safety. The Utah Attorney General’s Office invites fifth graders to participate in the contest with an annual theme of “Bringing Our Missing Children Home”. 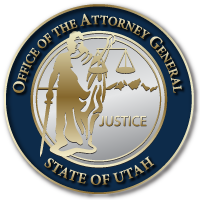 Participants must submit their poster to the State Contest Manager by February 25th, at which time a winner will be chosen to represent Utah in the national judging competition and will receive a national award certificate from the U.S. Department of Justice (DOJ). The national winner, with his/her teacher, parents/guardians, and the state manager, will be invited to Washington, D.C. to participate in the DOJ’s National Missing Children’s Day Ceremony on May 22nd. Contest rules and the application can be found in the information packet. Posters and applications are due to the State Contest Manager by February 25th. This entry was posted in Recent Posts and tagged Attorney General's Office, Department of Justice, DOJ, National Missing Children's Day, OJJDP, Poster Contest on January 29, 2019 .